ATLANTIC CITY, NJ – Andy Jankowiak of Tonawanda, NY took the lead from fellow front row starter Anthony Sesely on lap six of Saturday night’s Gambler’s Classic Indoor Auto Racing Series Fueled By VP Race Fuels 40-lap feature and held off successive challenges from Ryan Flores and Tim Buckwalter to win. Buckwalter and Flores swapped second with Flores taking the runnerup spot from Flores for keeps nine laps from the finish. Flores held for third with Justin Bonsignore fourth and Erick Rudolph fifth. Eddie Strada, early leader Sesely, Matt Janisch, Briggs Danner and midwesterner Billy Wease completed the top ten. Jankowiak earned $5,000 for the victory, then promptly donated half his winnings to Mike Tidaback and family. Tidaback suffered serious injuries in this one year ago and was present at the track. Doug Stearly raced to the 20-lap win in the Champ Kart co-feature with Cole Neibert, Todd Crenshaw, Mike Perry and Ryan Kendall rounding out the top five. Danny Buccafusca raced his way to the 20-lap Slingshot victory which represented the tenth Indoor Auto Racing Series Fueled By VP Race Fuels win for car owner Randy Smith. Craig Whitmoyer, who had won an Indoor Series so on dirt in December in Trenton, NJ, was second in this one with Tyler Truex, Danny Spellmon and Nick Shaw completing the top five. Saturday night TQ heat winners were Eddie Strada, Anthony Payne, Ryan Tidman, Anthony Payne, Shawn Nye and John Ivy. B Main winners were Tim Nye, Briggs Danner and Billy Wease. Anthony Sesely won the Dash that set the running order for the top eight in the Classic. Champ Kart Saturday qualifier winners were Gabbie Olender and Dominic Roselli. Scott Adams and Brett Bieber won Slingshot B Mains. 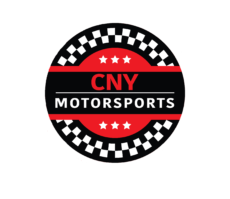 The Indoor Auto Racing Series concludes its 2018-2019 season in Syracuse, NY at the New York State Expo Center. The inaugural event takes place over the weekend of March 4-5, 2019. Series champions will be crowned at the end of the weekend for TQ Midgets, Champ Karts and Slingshots.